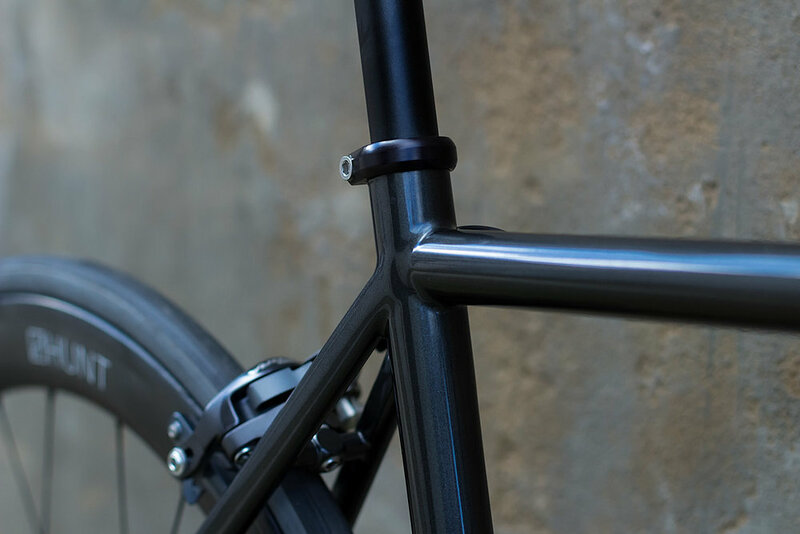 Wisebud's Stealth Road — Quirk Cycles | Custom Steel Bicycles Handmade in London by Framebuilder Rob Quirk. Back in 2017 Rob approached us wanting a very special build for himself. We had known Rob since we started as along with a few of his friends he was a founding member of the racing team that we sponsor, East London Fixed. After breaking his back Rob no longer raced with the team and for a while had been looking for a road bike to carry him on long weekend rides. His brief was to have a fast, light and stealthy road bike but importantly one that was comfortable over distance. 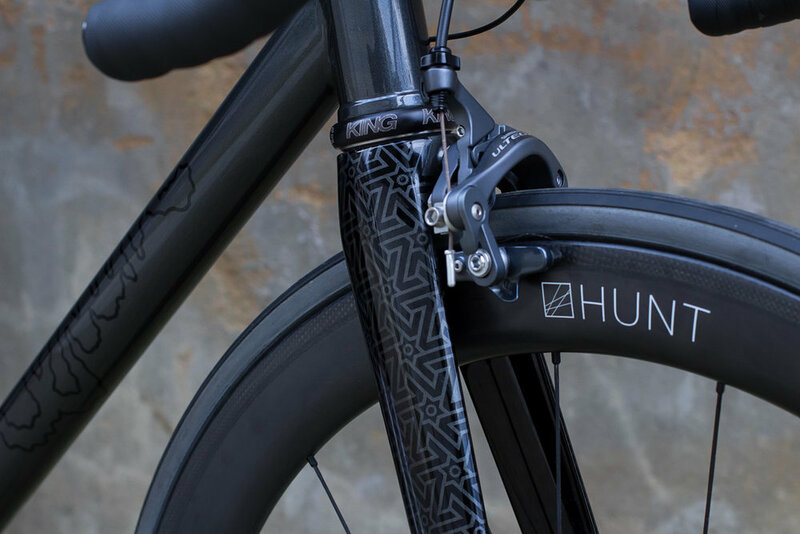 The build started with a selection of Columbus tubes, HSS for the front triangle and Life in the rear. These were picked for to get the right mix of stiffness, compliance and weight. Rob was very clear that he would never go beyond 25mm tyres and probably not even those. 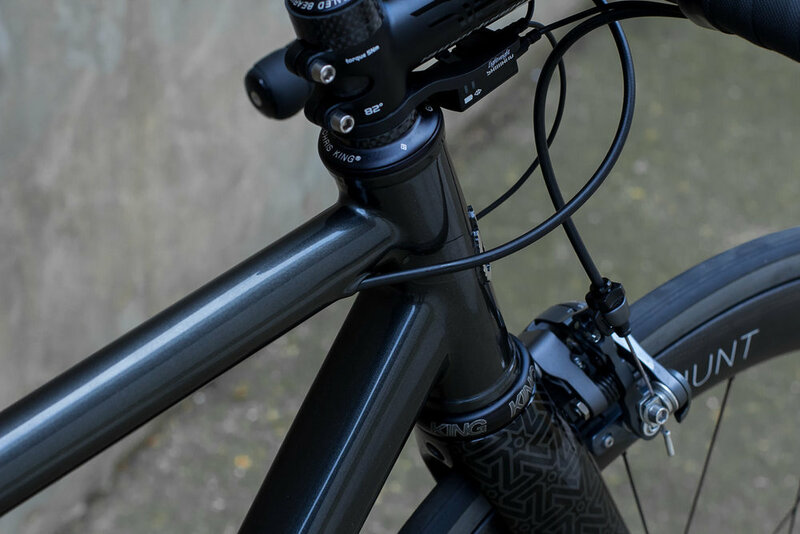 We pulled the rear end in tight for a snappy ride and used the Columbus Fel fork up front for its great ride quality. The paint as always was taken care of by Cole Coatings. We took a subtle approach to the paint selecting a classic Ferrari Silver for the main frame, a great paint that in certain light looks almost black but shimmers in the light. The main flourish is the fork with the East London Fixed team pattern, you can imagine it took a few attempts to get right. Rob was super happy wth the result and the best thing was his back pain on long rides is a thing of a past. 'I can ride further and faster than before now, the best decision I made for riding'. We think so to.